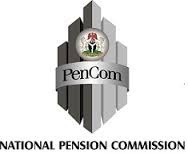 The National Pension Commission (PenCom) as at March 1, 2017, has issued 2467 compliance certificates to firm’s that had embraced the Contributory Pension Scheme (CPS) to enable them bid for government’s contracts. Findings by Inspenonline, revealed that some applications were rejected because they failed to meet statutory requirements. According to the commission, with effect from January 2012, private sector employers that comply with the provisions of the PRA 2014 are issued annual Certificates of Compliance, and to qualify, employers are required to submit evidence of remitting contributions to the Retirement Savings Accounts (RSA) of their employees as well as show evidence of valid group life insurance policy. Good as the initiative is, PenCom last year, accused Government’s Ministries, Departments and Agencies (MDAs) of acceptance spurious evidence of compliance from contractors and being reluctant in ensuring that companies bidding for works fulfilled their obligations relating to pensions as enunciated in the Public Procurement Act 2007. PenCom in a presentation to the National Assembly, stressed that few contractors now seek the certificate due to the reluctance of MDAs to ensure contractors seeking government’s jobs complied with the law as enunciated in the Public Procurement Act 2007. “All MDAs are required to demand for the Compliance Certificate as a requirement for transacting any business with a private sector organisations. Appropriate circulars have been issued to all MDAs in that regard. “Also, the Commission monitors advertisements for contract by MDA to ensure that the pre-qualification criteria included evidence of compliance with the PRA 2014. 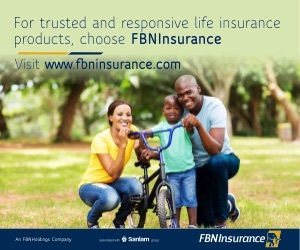 “The main reason for the low number of requests being the reluctance of MDAs to ensure that companies bidding for works have fulfilled their obligations relating to pensions as enunciated in the Public Procurement Act 2007,” it said. PenCom posited that methods deployed by MDAs to avoid complying include: The exclusion of the pension requirement in the advertisement for contractors and/or acceptance of spurious evidence of compliance from the contractors. It said that in a bid to address the lapses, it had agreed with the Bureau of Public Procurement (BPP) that henceforth, only Certificates it issued would be the valid evidence of compliance with the Public Procurement Act 2007. “The Commission undertakes regular advertisement of the requirements for issuance of the certificate and ensure prompt issuance. In addition, the Commission now hosts the compliance status of companies on its website for easy scrutiny and verifications. “The Commission has been working with the Financial Reporting Council (formerly Nigeria Accounting Standard Board), through a Joint Committee, to include report on compliance with the provisions of the PRA 2014 as part of the disclosure requirements in Audited Financial Statement of all organizations that employ a minimum of three staff,” PenCom said. It maintained that whilst the Committee is yet to conclude its work, it is expected that the new International Financial Reporting Standards (IFRS) would recognise compliance with the provisions of the PRA 2014 as part of the disclosure requirements in Audited Financial Statement of all organisations that employ a minimum of three staff.